Dear Vesna, Karmen, Ivan, thank you for such a warm welcome. I love every detail about Herbal Room. Everything was well-prepared and I couldn't ask for anything better. Your herbal pillow, tea, tree branch clothing rack, embroidery really impressed me. Having your dad Ivan, showing me around the garden was so nice. Our trip to Soca valley and Brda was enjoyable and beautiful. Wish I could stay longer. "Just loved to stay with you, warm and welcoming people." Hello Vesna and parents, after walking 30 kilometers we found a heavily warm welcome at your place. Today we have to walk on towards Adriatic sea and we will keep breathtaking herbal smell all way long. Hvala! Today also in Slovenia summer ended. After a long day on the bike with wind, rain and a little bit of sun, I had a warm welcome with warm tea and a warm shower and a comfy bed. Thank you a lot. Dear Vesna, it was a pleasure meeting you and your parents. Thanks a lot for the warm welcome. I had 2 beautiful days with you. I enjoyed our talks and the hiking. You are such a good person. I am very glad I crossed your path. Slovenia is a beautiful country. Thanks for showing me. "Thank you for the great hospitality. We definitely like Slovenia." "To Vesna, Karmen, Ivan and Lucija, thank you for the amazing stay at Herbal Rooms and for the kind hospitality. We really enjoyed it and had a great day with Vesna guiding us to lovely places." Thank you so much for helping us out while the rain outside was pouring. It was a very very warm welcome and we will never forget this guest room. Thank you for the delicious tea and the lavender which we will place in our house in Belgium. Dear Vesna, Karmen, Ivan and Lucija, thank you for your warm hospitality and welcoming us into your lives and lovely home. It has been a joy to share life, food, drink and conversation plus get to play with Lucija at home and at the river. Vesna, spending the day with you let us feel trully Slovenian. From the lookout, to sharing wine with the 95 year old gentelman, the short hike in the vineyard and getting to sample the fruit before next week harvest begins, the Transalpina spot, the split cemetery and the tasting treat the wine and food. Please keep in touch. We will be keeping you in our hearts and prayers. You are an amazing woman and a terrific mother. Best wishes. "Dear Vesna, thank you for a warm welcome. We had a really nice stay here. Thank you so much for your help and everything." "We loved our stay at your nice house and we had a wonderful time in Soca valley. Thank you Vesna for your kindness and useful tips." "Dear Vesna and family, thank you for your warm welcome and all your helpful information. We have also learned something about herbs." "Dear Vesna, again we loved our stay at Herbal House. It is so great to see your lovely daughter Lucija. She is very lovely and adorable. We will be back and will advise everybody who is looking for a stay in your beautiful country to go to Herbal House." "Dear Vesna and family, thank you for sharing your home with us. We loved to be here. Thank you for everything." Dear Vesna and family, thank you very much for a warm welcome and a comfortable stay in a wonderful setting. We had a wonderful time exploring this part of Slovenia and your help with organizing our itinerary played a great part. It was lovely coming back and get a homemade tea at night. All the best. Dear Vesna and family, my stay was even better then what I expected. The quiet, the warm welcome of you and your parents. It has been very nice. Thank you for everything I have learnt, for the lavender but especially for yourself. Your family is very precious and I hope I come again. I am very glad that I happened upon your website when first I thought about visiting Slovenia. My 6 days here in Plave and in the welcoming home of your parents Ivan and Karmen have been incredibly restful. I love the many hours I spent in your company whilst tripping around the Soca valley and even the steep hill walking. Slovenia truly is a hidden crown of jewels in Europe and Soca valley the real jewel in that crown. You should be very proud of your business venture and your beautiful family. I will shout about Herbal Rooms loud and in glamouring terms to anyone listening and wish you all the best, in all areas of your life. Much respect. Thanks for hosting me and making my stay a joy - the bread, the jam, Robi's coffee, the herbal tea, Lucija, hiking. Thank you for making us feel so welcome in your home. It was a pleasure to get to know you and we really enjoyed our relaxing stay. Thanks for all the travel tips and sharing your knowledge - we will never forget this wonderful part of our trip. Dear Vesna, Robi, Lucija and parents. It was a very good choice to start my Slovenia adventure at Herbal Rooms Homestay. Such a warm welcome and an instant "feeling home" feeling. It was like being part of the family. That was my intention, living the Slovenian life. I had a great time during the Bee Experience and the walk on Gradnik Trail. Perhaps we will be famous when Slovenian television plays an episode with the beekeepers. Thank you so much for all your tips and advice. I hardly check the Lonely Planet guide. Thank you Robi for picking me up after I got lost in the woods. Enjoy your way of living, it is really nice to see how you are living with nature on your side. Much love and respect and thanks for the conversations. "To Vesna, Karmen, Ivan and Lucija, many thanks for your hospitality. We only had a short stay in your lovely home but felt very welcome. Wishing you healthy and success for the next of 2018." Dear Vesna, this poem by the friend of ours is written in my journal. It reminds me of you because you know all this already. And you are very kind. Thank you again for your generous and warm hospitality inside and outside the house. Our day with you being our guide in Soca valley will be a highlight of our 4 weeks in your beautiful country ... the conversation (your knowledge and expression) ... the countryside and the amazing Soca river ... and all the delicious food. Thank you. "Thank you for welcoming me in your house and for the wonderful stay. The herbal pillow making was fun and very interesting. I will definitely recommend this place to friends and colleges." Dear Vesna and family, thank you so much for the warm welcome you gave me on my first visit to Slovenia. Your kindness and generosity have been overwhelming. I hope to return someday and see you all again and enjoy more rest and delicious tea in your beautiful home. "Dear Vesna, Karmen and Ivan, thanks for the lovely stay and warm welcome. We had a good night sleep. See you hopefully next year." Thank you. We had a lovely stay in your friendly house. Our visit to Slovenia has been amazing with beautiful walks and incredible weather in October. All the best. Dear Vesna, Karmen and Ivan, thank you so much for the wonderful experience here in your lovely home. I really enjoyed getting to know you and the beautiful countryside. It was so helpful to have Vesna’s knowledge of the area – its trails, stories and history. Four days were not nearly enough time to explore all that this region has to offer. Karmen’s garden is a masterpiece – beautiful and bountiful! Ivan’s wooden creations are so impressive! And Vesna’s warm and knowledgeable hosting is a highlight of my trip. Wishing you all the best for these exciting times. Thank you. Dear Vesna, thank you for your kindness and waking up for us during the night. Your herbal therapy was healing during our long, starting new life journey! We are glad that we met you as the first Slovenian on our journey, although we spent only one day here, we will be back soon – for sure! Dziekujemy! Dear Vesna, Karmen and Ivan, thank you for sharing your home and heart with us. We enjoyed the herbal pillows, tea and conversation. You succeeded in providing a warm welcoming, authentic experience and showing visitors from all over the best of your beautiful country and the warmth of your people. I hope we can pass this way again. Dear Vesna, thank you and your parents for a lovely stay. The welcome cake and tea were delicious and we loved how everything was spotlessly clean and smelling nice. We truly enjoyed Slovenia and we are sure to come back again. The best of luck with everything. "Dear Vesna, thank you so much for all the tips and knowledge before and during my stay. I am so happy I came across your Herbal Rooms Homestay (by chance ;)) online. Your parents are so lovely, as are you. I wish you the best and I hope to return soon!" We loved our visit to Herbal Rooms Homestay and you made us feel so welcome. It was so nice to talk with you about Slovenia and the differences and similarities between our countries. You have helped us falling in love and we will surely come back. Thanks for all the herbal surprises, especially the pillows! "Dear Vesna, Karmen and Ivan. We loved sleeping on herbal pillows. Thank you!" "Dear Vesna and family, we have had a very nice stay here. Thank you for everything. See you another time. Herbal greetings." "Thank you for the stay! Beautiful region, love the Soča river :)." Dear Vesna and family, our stay at your wonderful home was nothing less than amazing. We felt very welcome at all times and had a very comfortable and good night’s sleep. Everything was very clean and the herbs, herbal tea and self manufactures food brought joy to our senses ???? We will recommend your accommodation back home and hope to return in the future. By the way, thanks again for all useful tips concerning our itinerary! Warm regards. Dear Vesna, Robi, Karmen and Ivan, thank you so much for your warm hospitality. We have had a wonderful stay at your home – you made it feel like it was our home. Thanks for passing on your knowledge, your tasty herbal teas and your excellent company. We wish you all the best for your future. Dear Vesna and your lovely parents, thank you for having opened your house to me – I felt like at home in Switzerland! I had a divine sleep on the herbal pillow – just what I needed after many days of hiking. Thank you for sharing the talks about herbs, garden and Slovenia. Everything at Herbal Rooms feels to be made with love and dedication to every single detail – and now in July the whole house is filled with the pleasant, relaxing smell of lavender. I am very happy to have found you through my random google on research for a Slovenian herb – which ended with a spontan stay at Herbal Rooms. All the best and wish you one day make it to the bivak on Kanin! To Vesna and her wonderful family, thank you for your wonderful hospitality and making us feel so comfortable even though on short trip but we had a great stay at your house. Thanks for giving us the freshly grown herbal tea will always remember “crazy Karmen” while sipping the herbal tea back home. We had super stay with you and your family and will love to come back to 5* accommodation. To Vesna and her wonderful family, Jerry and JoAnn would like to thank you for your warm and generous hospitality. Your gardens are truly a work of art and inspiration. Vesna is a wonderful guide and provided us with a truly memorable experience of the WW1 battle in the Julian Alps before we came to Slovenia. Karmen and Ivan are wonderful hosts as well. Thank you for a truly wonderful visit. Dear Vesna, Robi, Karmen and Ivan, thank you all lovely family. I stayed here 6 days with super special lovely memories. We had lots of talking, laughing … You taught many things not only natures. Especially about herbs and gardening are really good experience and very helpful for me. I was the first guest from Japan. I hope I will be able to let to know other Japanese how wonderful here is. I will come back when I am stressed with too much work. Thank you so much for everything, especially about my missing luggage. Dear Vesna, Robert and family, our 2 days’ stay at your house was aromatic and beautiful. We loved it so much, so many sweet, warm and fragrant memories at Herbal Rooms to take back home. I am glad that I chose to stay here than staying in any hotel. I wouldn’t have got to be with lovely family like yours in any hotel. I got to know so much about your country and culture. I appreciate your passion for your nature. I wish you and Robert a very good health and happiness in your life. Wish to see you soon in India. Lots of love to Vesna, Robert, Karmen and Ivan. "The Herbal Room was a very nice warm place to get to after a long day on the road. I wish we could stay longer." We have had a wonderful time staying at the Herbal Room. We exchanged a lot of information. Vesna shared with us Slovenian culture and a way of living. We enjoyed the conversation a lot. Ivan and Karmen are also very warm and kind. We felt that they really took care of us like we were family. It made our stay ever more memorable! Overall, it was a splendid time. Thanks a lot. We will never forget this short stay at Plave! Dear Vesna, Robert and family, thank you so much for your wonderful hospitality during our stay. We have thoroughly enjoyed spending a couple of days experiencing Slovenian culture. Please pass on our thanks to your parents. We enjoyed our quick tour around Nova Gorica and feel inspired to learn more about Slovenian history. We wish you all the best in the future and continued success for Robert’s Cuban salsa classes. We hope to see you again soon. Dear Vesna, Ivan and Karmen, thank you for your warmth hospitality. We loved seeing your beautiful garden, drinking tea and staying in your lovely home. We loved the experience and and will definitely recommend it to everyone who asks. Thank you again for welcoming us into your life and home. Dear Vesna, Karmen and Ivan, hiking from Faak (near Villach) to Trieste is big fun, but also a little demanding for the legs. So your nice and relaxing place with the smell of 1001 herbs and fully dedicated hosts is just the perfect medicine to our body and soul. We wish you all the best. Thank you so much for hosting me on my 1st trip to Slovenia. You welcome me most open arms, warmth and kindness and I feel like a member of your family. I love the herbal pillows in my herbal room. The smell of scented herbs. All the woodwork in the house. The garden and nature around here. The house is very well maintained throughout. Not to mention homemade herbal tea. I will certainly come back again. I am so happy that you liked laughter yoga. With loved gratitude. "Thank you for a beautiful stay, such beautiful people. You made my first trip to Slovenia wonderful." Dear Vesna and family, thank you so much for a lovely night in your wonderful home. You have helped us appreciate the beauty and culture of Slovenia even more. We felt the love and pride you have for your home and country in every corner. Thank you for the inspiration and revitalization and thank you for our first night with herbal pillows! To Vesna and family, thanks for your hospitality and your genuine openness. The house is full of warmth and love. It is full of hundreds of beautiful smells. And the careful manicured garden is opulent and lush. Thanks for sharing travel stories with us. Dear Vesna, Karmen and Ivan, even though I could not stay very long, it was wonderful to have a home and a family-feeling away from home for a little while. I really enjoyed your kindness and warm personalities. And for sure, I will miss the refreshing tea. You are a very inspiring and creative family with an openness and happiness that is exceptional and very charming. I will be happy to recommend you to anyone that is planning or visiting Slovenia. Let me know if you would ever wish to visit Belgium. Hvala. Dear Vesna, Karmen, Ivan, thank you so much for the lovely stay in your Herbal Rooms Homestay. We learned a lot from your wonderful local traditions and cuisine. Your garden is just amazing, and we admire what you do with all the herbs and other products. Thomas also learned a new skill: how to mix your own herbal tea! :) We can't wait to taste it back home while thinking of our stay here in Plave. All the best for you! Hvala! Kiitos! "Draga Vesna! Ob letu obsorej … Ponovno smo uživali v zeliščnih blazinah in gostoljubju. Imeli smo se čudovito." Dear Vesna and family, thank you for making us feel at home in your lovely home. You are wonderful hosts. Please thank your mum for the homemade cake :) and thank you also for the herby cough medicine. I think it has worked!!! We have loved seeing your garden, watching the jam making and getting a glimpse into this peaceful lifestyle you live. All the best. "Thank you so much for a beautiful time here at Herbal House. Your generosity, kindness and humor made such a highlight in my time in Slovenia. Hvala!" Dear Vesna, thank you so much for the stay at the awesome Herbal Rooms. Your parents are the sweetest people I met! The boys (6 and 8 years) loved making a lavender pouch. Herbal Rooms are a unique experience for the whole family. Thanks again for having us! Herbal Rooms is approved to be suitable for kids. Kindest regards. Dear Vesna, Ivan and Karmen, thank you so much for this wonderful stay in Herbal Rooms. You have made me feel so welcome, right from the moment I slipped those slippers on, to our last meal together this evening. I loved learning how to make lavender garlands in your beautiful garden. Vesna, you were the most amazing guide (so knowledgeable + patient with my millions of questions). Ivan, I love all your woodwork in the bedroom (and I hope your thumb gets better soon). Karmen, your herbal pillows and fern pillows were fantastic ( I slept like a baby and I am going to try and make one in England). I will miss Herbal House (and its lovely smell of lavender) and you, my Slovenian family. Please visit me in England. Thank you. "Thank you very much! We really enjoyed our stay and the tea was the best tea we ever had! Thank you for this night of great sleep." Es sind die Begegnungen mit Menschen, die das Leben lebenswert machen. Herzlichen Dank fuer Ihre Gastfreundschaft! Auf unserem Weg nach Rom fuehrte uns der heutige Weg zu Ihrer unterkunft schon eher als uns Ihr Vater bei Starkregen abholen wollte. Aber wir laufen alles! Deshalb und der gesperrten Bruecke geschmiedet, wurde es etwas spaeter. Bleiben Sie behütet! We really enjoyed our stay at the Herbal House. The rooms were very comfortable. And you made us feel at home. Thank you for your kindness and hospitality. Mmm ... this rooms smells so good ... Too bad our cameras don't have an option to add this wonderful herbal aroma to our photos! :) ps. : Thank you for interesting local infos! Herbal soaps ... just love it! Dear Vesna and family, thank you so much for welcoming us both into your lovely home and giving us such a great introduction to Slovenia, its history, culture oh and the tasty food too! It has been great to learn so much about Slovenia and about plants and herbs too. We will definitely keep our eyes open for wild garlic on our walks back home and try to make a herbal omelette as tasty as your father's were! Thank you also for showing us a part of Slovenia that many people miss, we will definitely recommend Soca valley to our friends and Herbal Rooms, of course! Good luck with all your plans and tours in the future! I am sure we will both be back to explore Slovenia more soon. Best wishes. To Vesna and family, Thank you so much for inviting me to stay at Herbal House! My introduction to Slovenia thus far has been incredible. I really wish others could understand just how amazing your little country is!!! Draga Vesna and family Velišček, Bivanje pri vas je bilo kot vedno odlično in toplo. Zeliščne sobe so prekrasna ideja. Komaj čakam, da dožimi še »zeleno« sobo. Veliko uspehov še naprej! Draga Vesna and family Velišček, Staying at your place was great as always and your welcome warm and nice. Herbal Rooms are a great idea. I am looking forward to experience your future »green« room as well. Keep up the good work. To Vesna and family, Thank you so much for opening your home and your hearts to us. Your personal attention to our needs was much appreciated. To see an experience the Kobarid battle site was an unforgettable experience. Thank you also for the herbal tea-tasty! We wish you well! Thank you Vesna, Ivan and Karmen for this very nice stay. This place is very pure and this was what we needed after a week of running around beautiful Slovenia. Dear Vesna, dear Karmen, dear Ivan! Thank you for making this not a journey but welcome. I am still amazed how quickly we passed from being visitors to friends, even family! Another miracle, and what a beautiful one! We slept so well in the herbal rooms and now our experience is completed by making herbal pillow. Lucky us! I already know I will be back here, already your language sounds like music to my ears and your warmth and hospitality has shifted my world travel horizon to include … Slovenia. Best of luck for everything and we look forward to welcoming you in Austria one day. Look out for the beauty of Herbal Rooms being reflected on my travel blog: www.creativelena.com. Big hugs to my Slovenian family. Words cannot express what my heart is feeling. Coming here was like coming home. So many impressions I am thankful and I take home now: the power of nature, the power of family, so many beautiful memories of places you have shown us. Thank you so much for sharing your home and your passion. All the best for you and your family and your projects! Can not wait for my return! Big hugs and love and power to follow your dreams. Draga Vesna in preostala družina! Bivanje v zeliščni sobi prebudi vse čute. Še nikoli nismo spali na tako finih blazinah. Tudi najmlajši član (Dorjan, 2 leti) je užival in zaznaval prijetne vonje. Imeli smo krasen vikend. Hvala za tako prijetno bivanje. Želim ti še veliko prijetnih gostov, ki bodo uživali v vaši bogati, drugačni ponudbi. I am so lucky to be the first guest from Hong Hong. Herbal Rooms are awesome and I am glad that I came. Thank you for preparing the herbal tea on the first night. It was so nice. I enjoyed the garden, balcony view, soap, Soca valley, the nature … I am in love with Slovenia day by day. It is a new experience for me who come from a big city and it was a good one. When I return home, I would definitely bake my own bread, have my own garden if possible. I will gonna miss you + the herbal room. See you in Hong Hong/Plave again. Dear Vesna, it is very nice to experience this Herbal Rooms and your parents warmth. The nature itself is also lovely. Unfortunately I have to go before you return. Maybe next time. See you again. I mean till we meet in another time. Dear Vesna, dear Karmen and Ivan, Thank you for the very unique stay at your Herbal Rooms. We had great fun getting to know you and your lovely family and experiencing a part of your everyday life! Everything smells sooo nice and we haven't slept so good in a quite a while. In addition, the food and especially teas taste amazing. It was very relaxing to have a quite afternoon making »butara«. Well, not all of us are as crafty with the hands as you are. We wish you and your family many sunny, smiley days full of joy and laughter! Keep on doing the great work. Kind regards and hope our part cross again. I am so fortunate to have found the Herbal Rooms. I have to admit I was not sure what kind of experience I would have but something about it sounded intriguing and inspiring and I decided to give a try. Thank goodness I did! From herb tea to the homemade soap, to the herb liquor, to the time salsa dancing with Robert, I have had an amazing time. Robert and Vesna truly inspiring people and go the extra distance to make your stay one of a kind. I will always remember the Herbal Rooms and the time I spent with an incredible Slovenian family! I hope to be back some day. Thank you. Dear Vesna, Thank you for the warm stay at your house. We were attracted to your offer and have enjoyed the short stay with you and your parents. We hope your business will flourish in the way you want it to. We will happily come back and stay longer to explore and learn more from your family. Thank you for the good conversations and the delicious food and teas. We hope to see you again soon. Herbal Rooms delivered far more than promised. I enjoyed the herbs, the nature, the garden, the Soca valley. But most of all I enjoyed the warmth of Karmen, Ivan and Vesna and their genuine desire to understand the world I come from as much as their desire to share their world with me. Thank you. I will never forget all of you. Dear Vesna and family, Thank you all for the wonderful unique experience you offered. It was a perfect break from our busy travel schedule. We so enjoyed the Soca valley traditions. Keep up the good work. Warm thoughts from your Canadian friends. What an amazing time in Herbal Rooms! Vesna truly puts an effort into making sure guests get an authentic village life experience and you really feel that you are part of the family. From picking wild garlic to cooking fritaja to making calendula balm to having wine and pomegranate liquor not to mention to shared stories and cultural exchange. This will be an experience I never forget. Next time I am in Slovenia, my first stop will be Herbal Rooms! Dear Vesna, Karmen, Robi and Ivan! Thank you all for taking us having a look into your daily life, sharing your local food and taking us to your favorite place: the Korada hill with lovely peaceful meadows which turned into natural pharmacy. Your concept of local experience is inspiring and hopefully you will have many chances to involve other travelers who visit Slovenia into the life and tradition of Soca valley. All the best for all of you. Dear Vesna and family, we had a wonderful time staying at your Herbal Room. It smells so good! The pillows filed with herbs are really unique. We have never seen this before and the room is also nice with a beautiful view. Picking herbs together was a perfect local experience. We had two full hands of blackberries, yum! We will definitely recommend you to others and hope we can visit you again some time. Thank you so much for letting us into your home and eating wonderful food with your family. Really special! Glowing review on Herbal Rooms, I have the utmost pleasure of staying at Herbal Rooms from 3rd June to 3rd July 2014. Herbal Rooms were an excellent base for me to enjoy good restful nights and to explore the surrounding areas. Good night sleeps were ensured by the herbal pillow and mattress and the peaceful atmosphere of the room and the house. Ivan and Karmen made sure I was always comfortable. They were attentive to my requests about tourist areas, trains and deriving the utmost from my stay at Herbal Rooms. The room, the bathroom and the house were immaculately maintained. I really enjoyed the surrounding garden full of growing vegetables and colorful flowers. Everywhere I looked it was a pleasure for all of my senses. I explored with ease the Soca river and towns near by food and also by hitch-hiking. For further destinations I was assisted by Vesna or took a local train to lake Bled for example. I believe the most that anyone desires from an accommodation is comfort, peaceful atmosphere, a good night's sleep and a place to »hang your hat«. I woke up each day ready to explore with renewed energy, vim and vigor. From Herbal Rooms there is a lovely view on Soca river. So lovely to stand there in the balcony, sips of herbal tea and gaze at the Soca river. Really a pleasure. Please consider going to Kanal as it is close by Herbal Rooms. The Soca river is there plus park Pečno. I recommend a stay here as Herbal Rooms are ideal for singles as well as for families. I will certainly stay here again. I would like to express our gratitude having you as our guide for a day on our Soca valley trip. You showed us not only beautiful places where by ourselves would be impossible to reach, but also several info and tips of how to get along like locals in Slovenia. We appreciate your help calling out other people for our next plan in the next town, that you came for hours just to meet us and for helping out what best to buy in supermarket. You have made our day interesting, efficient yet fun and delicious! We wish you more guests so they could appreciate the beauty of Soca valley at the maximum level as we sure did. I am so pleased to have had the experience of staying at Herbal Rooms Homestay and for having a little window into Slovenian life with Vesna and her family. Vesna impressed me with her work ethic, passion for her little part of heaven, the Soca valley and for her warm and genuine nature. Vesna went out of her way to help me put together the perfect itinerary. I wanted to experience the food, learn about the culture whilst exploring the region, hike in nature and have time to rest and read. The Alpe Adria Trail was an easy hike along part of the Soca river. In my opinion a must if you are staying at Herbal Rooms. No matter how much you see this river with its incredible colour it always takes your breath away. The Brda Wine region hike was a moderate hike bit the scenery of rolling hills, vines and picturesque villages was so worth it. I feel a visit to Slovenia is not complete unless it includes Soca Valley and being able to rest your head on fragrant herbal pillows after a big day out or whist relaxing and reading what more could you ask for. Thanks Vesna and I hope to see you again. For our final full day in Slovenia during our holiday, we had booked a day tour with Vesna. Vesna was very quick to respond to queries and to give advice before our visit. We opted for Natural Wonders of Soca valley. Vesna met us and her friendly manner ensured we quickly relaxed into enjoying the stunning beauty of The Soca Valley. We were driven over 125 kms through spectacular scenery and visited four different locations. Vesna is extremely knowledgeable about the area, especially Flora, and gave a fascinating insight into using a wide range of plants and wild herbs for any number of purposes. We walked with Vesna to enjoy close up views of two impressive waterfalls and a wonderful gorge. In all we were with Vesna for nearly 7 hours, but the time flew by. A great experience with a wonderful guide - highly recommended! I highly recommend Vesna for any of her tours. She’s the real deal! Down to earth, flexible, knowledgeable, and resourceful. Additionally, our email communication leading up to our visit was thorough and directions were easy to follow. I felt this tour was a good value as well. We discovered things we would not have discovered had we not been with a local like Vesna. Dear Vesna, thank you so much for the amazing experience in Soca valley and Goriska Brda region. I had a wonderful day out in this part of Slovenia. It was nice sharing all our travel stories and know more about Slovenian culture, cuisine, etc. Wishing you all the best in years to come. Thank you very much. It was a serendipity to meet you two and I can't express how fortunately I am to meet two knowledgeable experts who care about the nature so much. You two made me rethink the food that I am eating everyday and the lifestyle of going green. If I could choose again, I would stay in Slovenia for three weeks instead of three days. It is a place to discover natural wonders with the know-it-all locals. Slovenia was the sixth country in my two-month long Europe trip. Arriving at this country only with the knowledge that I will spend two and a half days with a local couple met on couchsurfing website, I left my itinerary blank and let my host decide what will come. Things turned out to be unexpectedly good. In these four days, I had dinners by Master chef Robert, I gardened with a sweet couple who cares a lot about what they eat, I chatted with the know-it-all Slovenian cutie Vesna. The highlight was definitely an excursion to Solčavsko valley where I experienced the hospitality of tourist farm owner apart from what nature offers. The excursion began with an early morning drive that took two hours to the valley. Time flew quickly with cheers on the road and the purely beautiful scenery on the way. We had to stop a few times to capture the picturesque view in Slovenia with our cameras along the snaky roads leading to the valley. There are a number of hiking trails for tourists to choose according to their physical ability and time. Some can even climb up to 2000 m or above. We parked our car mid-way in the hills and began our walk to a pasture. Though the altitude was not as high as other trails, listening to the splashes of water in the river, appreciating the snowy hill tops in the vicinity and the greenery made the trip an enjoyable one. As a city dweller for over 20 years, I found all the cows, horses and sheep so fascinating that I would not hesitate to give them a little pamper provided that they are safe to touch. The hiking trail was an easy one that can be finished in one hour time for single way. At the end point, we found a pasture house that opens in summer time to milk the cow. I believed things would be marvelous if I have the chance to taste the milking exercise in summer seasons. I hope they won’t hurt too much. Then, the experience in tourist farm was another marvelous one that I felt connected with this country. We were greeted and served by a hospitable farm owner who brought us a plate of local delicacies including salami, cow cheese, cottage cheese, a sausage prepared in a local way called Zgornjesavinjski želodec (aka Upper Savinja stomach ). To me, these food were so new to me. Yet, I enjoyed them a lot together with bread and juice. Just when my stomach was about to surrender, the host walked towards us with a hot clay pot that raised my curiosity. Is it the Cheese fondue from Switzerland? Looking at the white semi-liquid egg white-like substance puzzledly, the host explained it was called masovnik, which was flour cooked in cream. I could only say yummy after the first spoon. However, please don’t care the calories for the day if you are to try. That day, I had the same amount of dairy product I would eat in a month. After a fruitful talk with the host, we began a slow and lazy drive away from this natural wonder back to modern Ljubljana. On the second day, we just relaxed ourselves in city center of Ljubljana by bike. The bike lane has a total of 35 km of which around 10 km were covered by us. It was a pleasant journey cycling under the shades of the trees, especially under the blazing sun in such a sunny day. When tired, what would be better than having a burek and kebab next to the Ljubljanica, the river flowing through the city center? We indulged ourselves in the food and the scenic view of the river and half a day passed so quickly. One of the biggest tourist attractions in Ljubljana must be the Ljubljana Castle. After lunch, a short uphill stroll from the center ended up in a panoramic view of the whole city that was definitely worth climbing. Ljubljana is also a place filled with parks and open space, as in other countries. People chilled, picnicked, and worked out in the greenery all day round. Ljubljana made me learnt about the definition of work-life balance. How about the dinner for the night? As usual, we had our master Chef Robert to cook the meal for us. Vesna and Robert are very mindful when choosing what to put into their mouth. They care about the quality of the food, but not in the way that counts the number of Michelin star. Instead, they would like to have the food from the local, the food that are clean, the food that retains the flavor it should have. As a result, I tried home-made yogurt, oil, vegetable, syrup, juice for the first time in my life. I truly pay tribute to their eating attitude which has become rare in recent years. Honestly, Slovenia may not house a beautiful city center as Prague or Budapest, but it certainly provided me with loads of natural beauty that made me feel so close with our mother nature. And above all, the hospitality of people certainly made Slovenia my favorite in this Europe trip. I am so lucky that I had the opportunity to experience Slovenia with Vesna. She was the first person to welcome us to the country and it was such a warm welcome! Vesna took us to a local family winery in Goriška Brda. Most of the time, wineries require large parties to do private tastings, but Vesna was able to take just two of us to the winery in Šmartno. At the winery, we got to tour the wine making process, taste the first cherries of the season, and of course, wine taste. I highly recommend Vesna to anyone looking to experience Slovenia with a local. it was clear to see that Vesna is very passionate about all the wonderful experiences that Slovenia has to offer and after visiting the country, I agree with her and share her enthusiasm. My only regret is that I wish I had more time to spend in Slovenia with Vesna. 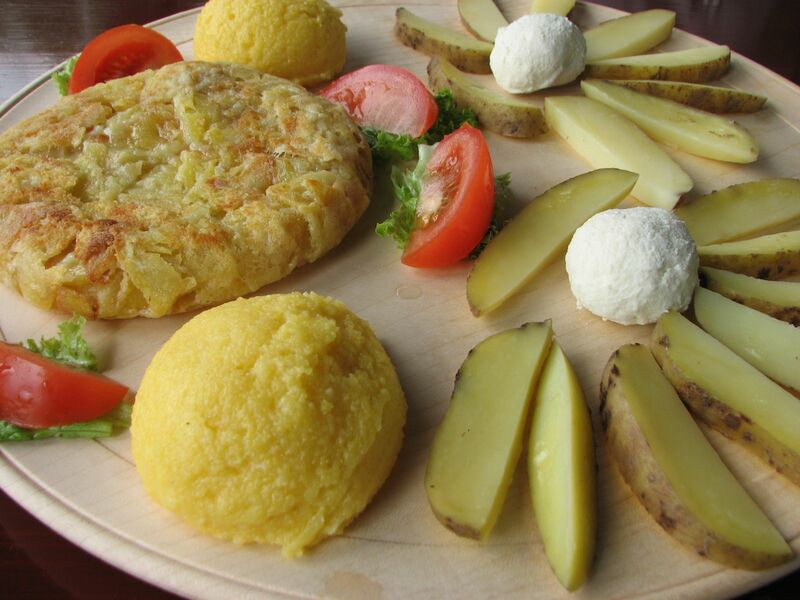 Vesna at Slocally offers in-depth learning experiences of the age old Slovene way of life. She is very knowledgeable and passionate about preparing foods and preserving traditions. I had a wonderful time exploring the beautiful countryside of Slovenia visiting a tourist farm, olive oil tasting, and meeting many wonderful people. I also chose making an all natural calendula balm that is better than any hand cream I could buy. Vesna's love for the art of living life naturally is truly contagious. Slocally is a "must do" when visiting this beautiful country! I first encountered Vesna via emails. From the very beginning, her emails were professionally friendly and truly interested in my desires and intentions with my trip to Slovenia December, a 5 week stay. She offered great suggestions with the caveat that it was winter and also holiday time. Since she has developed many worthy contacts, I was so intrigued with her many and varied suggestions. I informed her that I love nature hikes and especially interested in nutrient-rich foods. Being a Chapter leader for the Weston A. Price Foundation, I was avid to see cheese-making, bee-keeping, charcuterie, raw milk vending machines, vineyards, farms and places beyond the usual tourist menu. I was most interested in naturally prepared foods and in artisan foods. Vesna was able to offer me all of the above and more. I was so impressed with her unique services and how she kept my requests uppermost in mind. I met Vesna in person in Ljubljana and all welcoming smiles and warmth of presence. I felt I was in the best hands ever to introduce me to the best Slovenia had to offer at the time of year. Then we went off to the countryside! Our first destination was to a beekeeper's shop where I desired bee pollen, royal jelly, raw honeys and honey elixirs to assist me to stay well for my entire visit. Then we went on to more adventures that I named PURE SERENDIPITY. Vesna always arrived on time and with a plan for the day along with a curiosity and openness to opportune moments and experiences that gave me the most incredible memories and insights into what is the REAL Slovenia. We took hikes through vineyards and enjoyed a picnic among the vines of an omelet with herbs from her garden. The omelet, the sunshine and the setting was divine. We went to medieval towns, country side taverns including a trout restaurant that served the best trout I have ever tasted. I made a calendula salve that assisted me to heal a dermatitis on my chest. The calendula and lavender she had personally picked as Vesna has a great knowledge of local herbs, mushrooms, natural curative plants and edible wild plants. I truly enjoyed Vesna's cheerful nature and her historical anecdotes of the towns and villages we visited. Her vast knowledge and ability to teach and share and impart this knowledge with clarity and with passion for her beautiful country so rich in history, beauty and nourishing foods was impressive. The whole time I spent with her was beyond worthwhile as she has an instinct for serendipity and the ability to be open to the magic of the moment. If you desire to see and experience the very best of Slovenia including the fine cuisine, and have the privilege of Vesna's knowledge and passion and attentiveness to what interests YOU the most, I recommend her unique services highly. I intend to return to Slovenia one day to experience the summer season, cherry blossoms and harvest and more serendipitous days with Vesna. On a recent visit to Slovenia I was fortunate enough to spend a tour with Vesna, who not only took my husband and me to a bread-baking course with Pavla at an eco-farm in Robidišče but also showed us hidden gems of Slovenia that we would not otherwise have seen. Just a few days before we set off for Slovenia I was searching the internet to see if we could combine our holiday with bread baking when luckily I stumbled upon Vesna’s website. I discovered that Vesna arranges various hands-on activities and courses and was happy to organize our visit to Robidišče. We had a great time at the farm with Pavla, who was delightful, and enjoyed not only the baking but also looking around the village and picking herbs. Vesna is a fount of knowledge about many aspects of Slovenian life and was an excellent companion for the day. We had a wonderful time and the expectations for our holiday were exceeded. From the initial reception you provided at Most na Soči as we got of the train, it was evident that you were very committed to providing a good experience. The smiles and the warm greeting that both of you provided made us feel at ease from the outset. The activities that you arranged in Kobarid and Robidišče eco farm were very informative and enjoyable. The food we shared at the Eco farm was excellent; we still comment on the cheese with fresh herbs as well as the soup and fresh dumplings. Visiting the cheese making facility operated by Drago was a truly unique local experience. Our only regret is that we were unable to bring some of the cheese back to Canada, but we do have the memories! The time spent in the historic town of Šmartno with Aleks as our guide was also very good as it gave us a much better appreciation of the history of the region. The surrounding villages as seen from the top of the “viewing tower” were a beautiful sight. The tasting at the family winery, including the “frtalja”, was one of the highlights of our trip. Unfortunately the weather did not allow us to walk some of the Cherry Blossom trails, but perhaps that can happen at a future date. We have many wonderful photographs that were taken during the time we spent with you. Some of the more memorable pictures include the Napoleonic era bridge as well as the long span of the railway bridge over the Soca River with its emerald colored water near Nova Gorica. 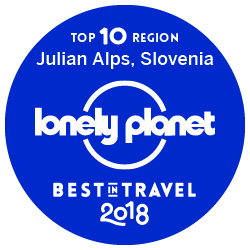 We are truly thankful for your efforts as the information you provided, ranging from points of interest to transportation schedules, allowed us to anticipate more fully what we would encounter in Slovenia and it also contributed to more efficient organization of our travels. We were very fortunate to have made contact with you. Without your input, our trip would not have been as enjoyable as it was. Thank you for contributing to our wonderful Slovenian holiday; our personal interaction with both of you will be part of our positive, lasting memory of Slovenia. We wish you every success with your business venture. I have recently returned home after a wonderful holiday in Slovenia and one of the highlights for me was time spent with Vesna. She is a very thoughtful, caring person who listens to your special interests and then develops and modifies her plans to suit you. How fantastic! Vesna describes herself on her website Slocally as a “gipsy queen who is addicted to home made products’. The description is true but it doesn’t prepare you for her passion for life in general nor the wonderful conversations we had ranging from herbs and food to history and politics. She has established a sound business based on her principles of treading lightly on the earth. When I was staying in the Goriška Brda region, we spent one day slowly traveling around the Soca Valley with a leisurely walk to the Kozjak waterfall. The whole area would be beautiful to any traveler but the experience was enhanced by seeing the land through the eyes of a local with her intimate knowledge of the area. We also visited a honey maker in the Karst region and cheese maker in the Soca Valley – experiences I would never have had otherwise. Yes, I had seen other local produce providers in the open markets in Maribor and Ljubljana but it was great to meet these producers in their own homes. I strongly recommend that you fit in at least one activity with Vesna when you are visiting Soca valley, Slovenia. Your travel experience can only benefit from her gentle, professional approach and passion for the country.